My sister, Katy Kitchen, pieced and appliquéd a couple of projects for the book. 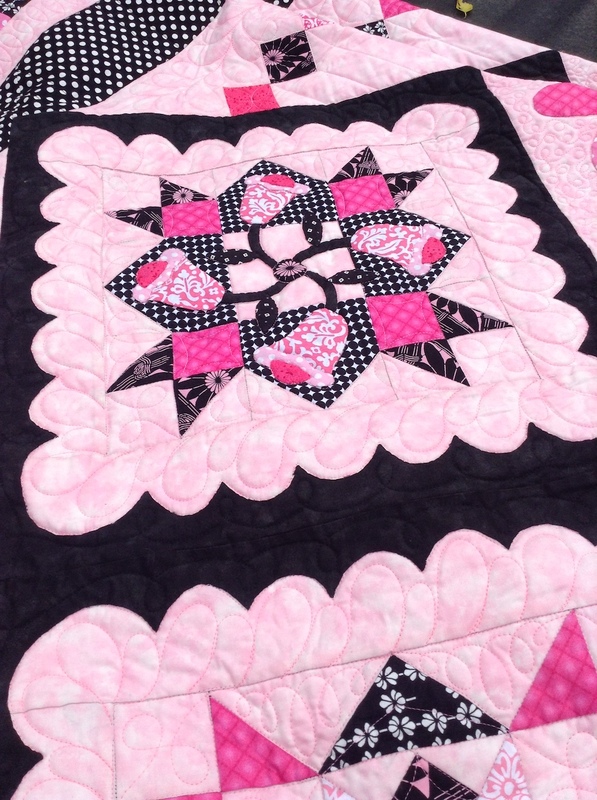 One was the quilt called Dear Diary that is an alternate version of the main quilt. 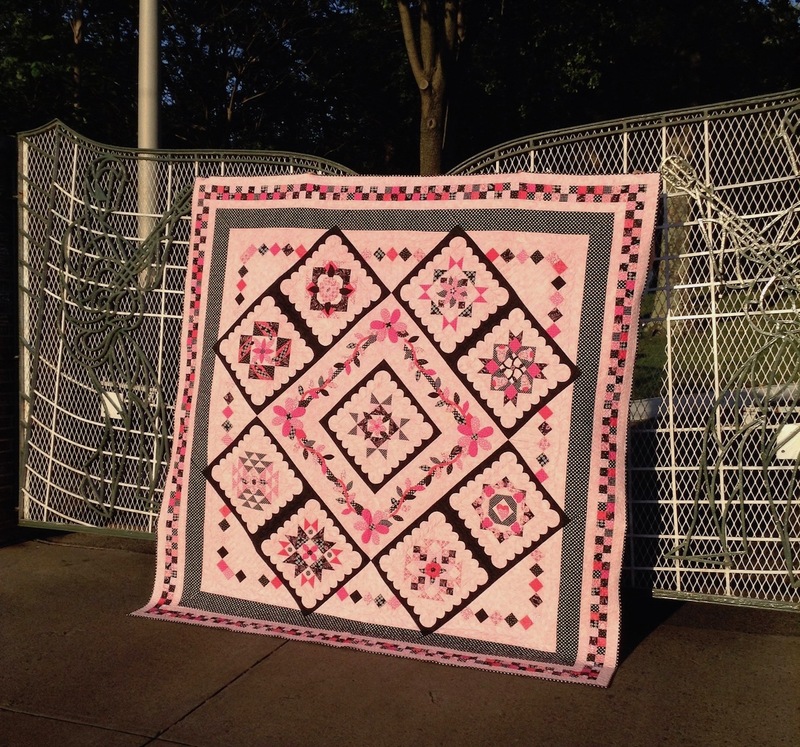 If you’re looking for a different setting for your blocks that isn’t as large or involved as the Hazel’s Diary quilt, Dear Diary may be just the option you’re looking for. Since Katy had all the patterns in her possession early because of helping me, she was doing some secret sewing behind my back the whole time! 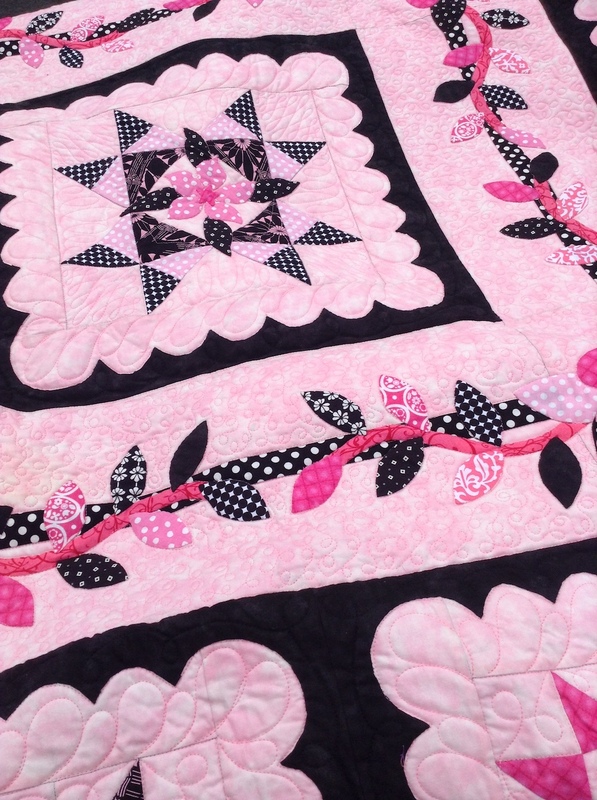 She arrived at my house one day and flopped out the most gorgeous version of the Hazel’s Diary quilt — it took my breath away! Have I mentioned that my sister is a color genius? Well, she is — and the color way of this quilt is one of my favorites. Ever. I took one look at it and said, “OH! That’s so ‘Hazel Meets Elvis’!” and the name stuck. We don’t know if Hazel liked Elvis, but my sister is an over-the-top super-dedicated Elvis fan. Since our mother loved music of all kinds, and also movies, we are guessing that she was probably a major Elvis fan in her own right. My sister visits Graceland at least once a year, and we do it when we’re already nearly there to go to the AQS Show in Paducah every spring. We just swing on down to Memphis and include that in our trip. This year, we took the quilt along, and photographed it at the gates of Graceland! Here are a few close-up shots of it. Check out the polka dots! I really really love this quilt in these colors. 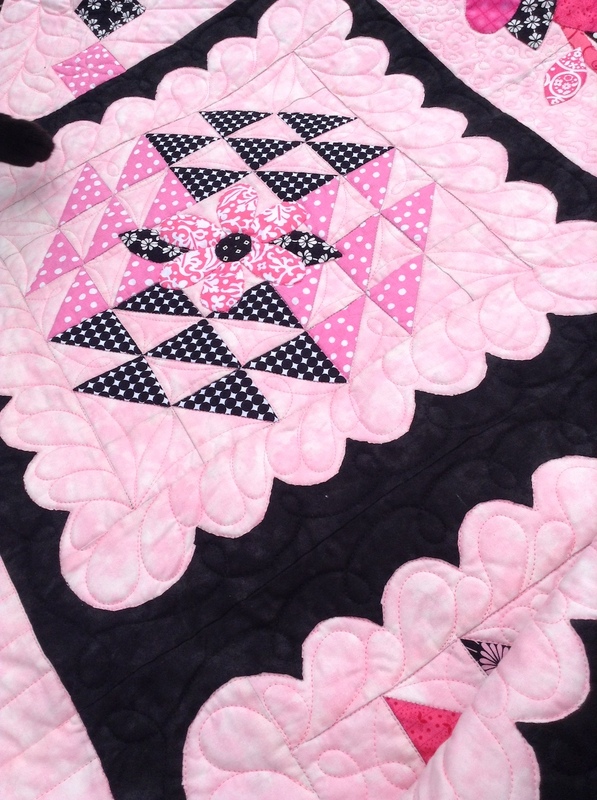 I did the quilting for her, using pink and black threads. It was a fun one to do! 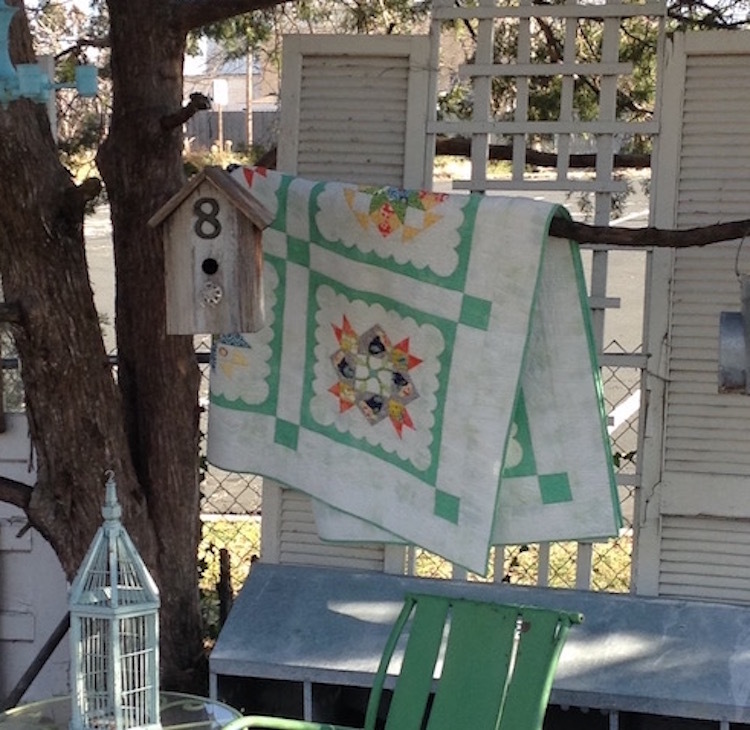 Does this give you any ideas for making the quilt in other color schemes? The possibilities really are endless!